Lately a combination of things has left me feeling both a lack of time and of inspiration for photographic projects. We’ve obviously been very busy with Malcolm, but I have also been feeling like I haven’t be stretching myself very far. So, it seemed like the perfect time for a self-assignment. Darwin Wiggett has written about this before, and you can read an article of his by clicking here. The basic idea is to focus your creative energy on a particular theme or location and try to remain focused for a set period of time. I tried to do a bit of both theme and location by choosing to photograph the waterfalls of Grey County over the next 5 months. 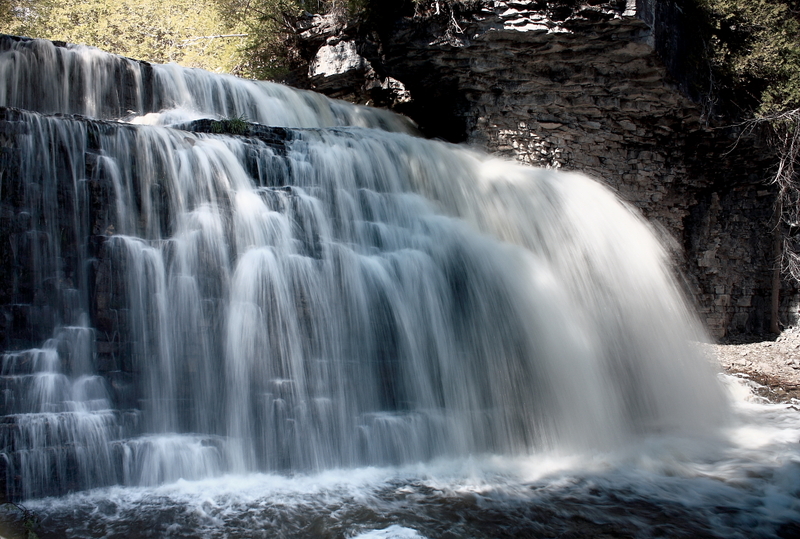 There are eight waterfalls in Grey County and each is a little bit different. Some are plunge falls, while others are cascades. It should be a beautiful and exiting project, and I am really excited about it. First on the block is Jones Falls. Jones Falls is pretty close to the farm so, for my first venture, it was only a short drive and a quick hike in. The sun was high and bright, which posed a particular challenge as part of the falls is shaded, while another part is in direct sunlight. To compensate I used a 3 stop ND grad soft edge filter tilted sideways in addition to my usual polarizer to even things out. This worked out well, except for throwing off the colour cast a bit, which I was able to adjust in post. 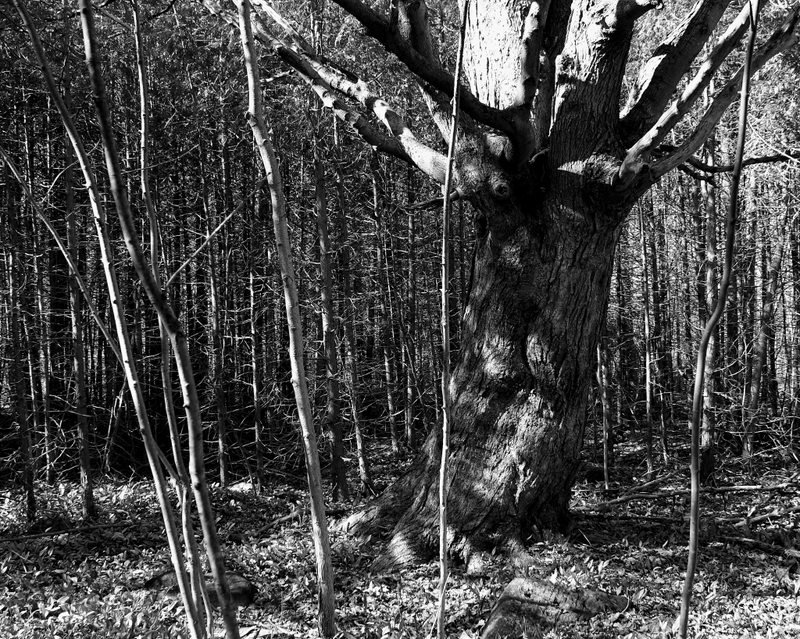 While I was there I also noticed this old tree sitting amidst a sea of younger trees and saplings. Not many of the leaves were out yet, but I thought there was an interesting contrast there. This entry was posted in Details, Landscapes, Photo of the Week, Self-assignment. Bookmark the permalink. Hi, Mike. The waterfall is just amazing and I like the rocks behind. 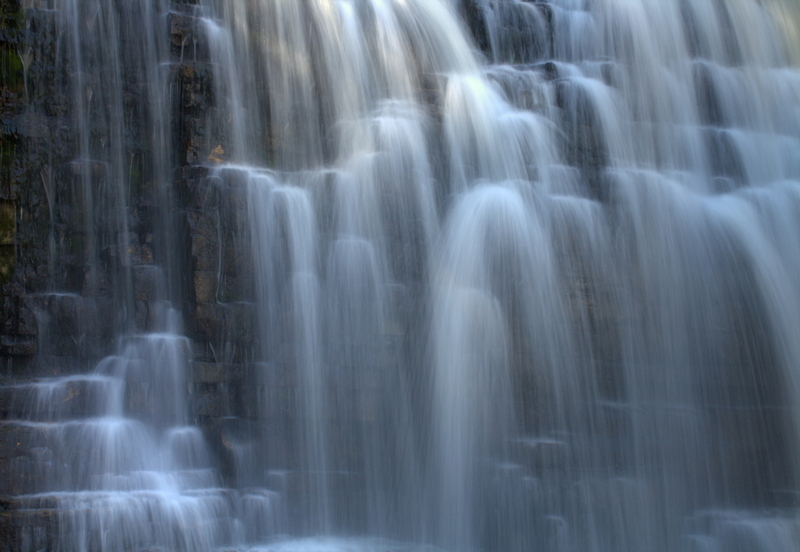 I imagine how you took that shot… water falls very rapidly… and camera cannot really catch that excellent movement. Great stuff! Thank you so much Irina. Ther first shot was definitely a tricky one for me as I wanted to capture the motion without a long blur on the water. It took a few tries, but I eventually got what I was looking for. Great stuff, Mike. I love that silky water effect, keep doing what you do. Thanks Lee! I love the flowing water as you know. I am really psyched to keep this series going and maybe produce a photobook or something at the end of the project. Great shots Mike. The first one is pretty tricky with the lighting, but I think you did a great job. I really like the cropped shot and the translucent look of the water. Thanks very much Scott! It was definitely a challenge and I came away with a number of shots that just didn’t work for me. I may go back again this summer if I have some time, but I was quite pleased with these results.